Download your free Restored Beauty Getaways eBook today. 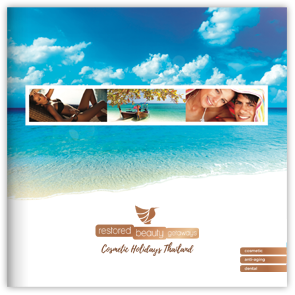 Restored Beauty Getaways offers safe, affordable cosmetic and surgical procedures and treatments abroad. Combining your procedure with a getaway in paradise saves you up to 70%! We’ve been Australia and New Zealand’s inaugural medical tourism agency since 2003, offering cosmetic, dental and vision correction procedures at a fraction of the cost offered in Australia and New Zealand. Download our free eBook and learn more about Restored Beauty Getaways. Before you can access our eBook, we’d like to know a little bit about you (purely for our record keeping and we’d NEVER share your information with third parties or telemarketers).